XENIA — Galion and Xenia met Sunday, for the final game of the 2017 on Sunday. The Graders won 4-2. Galion finished its season at 19-22 while Xenia finishes at 15-26. Jarett Smetana got the nod as the Graders’ starter and threw three innings, allowing four hits and an earned run. Smetana walked one one and fanned two. Clay Davies worked the next five innings for Galion to earn the win. He tossed two-hit ball while walking one and fanning five. Brock Balderson got a save, giving up two hits and one earned run in the bottom of the ninth. All nine of Galion’s hits were singles on Sunday and they recorded two RBI, four walks and eight strike outs while stealing five bases as a team. Jake Hoover had three of those singles himself and would score twice. Hoover also recorded his seventh steal on the season against the Scouts. Matt Noel and Sam Stewart had a single and an RBI apiece while Austin Hathaway and Joe Crank each belted a single and scored a run. Crank also stole his third base of the year on Sunday. Josh Kent and Parke Phillips rounded out the Graders’ offense with a single apiece. Brady Hettinger stole his seventh and eighth bases on the year and Zach Mottice swiped his seventh base. GALION — On Saturday night, the Graders played their final home game of their 2017 campaign and beat Xenia 8-4. Galion used 14 hits to plate their eight runs while stranding eight total runners. Xenia scored their four runs on nine hits and left six on the base path. The Scouts had one error , the only error for either team. Austin Hathaway had a three-hit night, recording three singles en route to scoring a run and driving in two. Jarett Smetana, Jake Hoover and Zach Mottice also notched multi-hit games. Smetana and Hoover finished with a pair of singles and a run scored apiece. Mottice had a single and a double, drove in two runs and stole his sixth base of the season. Joe Crank and Brady Hettinger each recorded a single and a run scored while Matt Noel belted a single and scored two runs. Parke Phillips reached base on a single and Josh Kent rounded out the Graders offense with a big home run, a run scored and four total runs batted in. As a team, Galion was 14/37 at the plate with 12 singles, a double and a home run. The Graders had eight RBIs, walked twice and struck out eight times in total. Richard Krieger got the start for Galion and picked up the win. Krieger went six innings, allowing five hits and three earned runs while walking three and striking out three. Sam Stewart worked two innings, giving up four hits and an earned run while fanning three. Brock Balderson tossed the final inning, not allowing a hit or a run and striking out one. 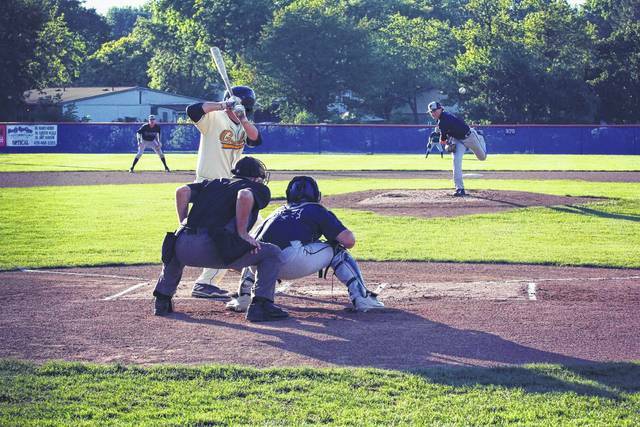 Galion finished at 19-22 overall, fourth in the Great Lakes Summer Collegiate League Central Division. The team’s 19 wins are the most in the three-year history of the team. The Graders finished the season with 384 total hits in 1,421 official at bats for a team batting average of .270. Galion’s on-base percentage was .359 and their slugging percentage at .368. The locals scored 238 runs, belted 76 doubles, nine triples and 15 home runs. Galion also finished with 205 RBIs, 60 stolen bases, 183 walks and 299 strike outs. On the mound, Galion’s pitchers allowed 259 runs (212 earned), while giving up a total of 421 hits . Graders’ hurlers walked 140 total batters, threw 60 wild pitches, hit 26 batters, struck out 241 batters and gave up 39 home runs while recorded just seven total saves. Opposing hitters batted .288 against the Galion pitching staff that finished with a team earned run average of 5.44. The Graders finished the year with a .960 fielding percentage, 350 total assists and committed 57 errors.